TOLEDO, Ohio, October 29, 2009 – Brian Arend and Matt Oberts of SSOE Group recently earned their professional engineering licenses and Leadership in Energy and Environmental Design (LEED®) accreditations after successfully completing the “Principles and Practice of Engineering” test and the “LEED for New Construction” exam. 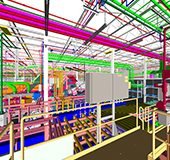 Named third among green industrial and manufacturing design firms by Engineering News Record, SSOE Group is one of nation’s largest EPCM firms, with a diverse portfolio of expertise in sustainable practices for a number of different industries. The Principles and Practice of Engineering exam measures the candidate’s academic and practical knowledge of technical engineering. Candidates are eligible to take the exam after meeting statutory requirements that include a minimum of four years of acceptable work experience. 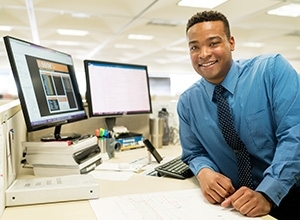 The LEED Accredited Professional exam is offered by the United States Green Building Council, and designates that an individual has earned the knowledge and skills necessary to facilitate a LEED certification process. 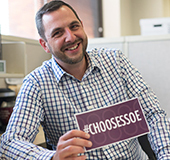 Oberts is a Mechanical Department Manager and Senior Associate at SSOE. He has more than 13 years of professional experience, focusing on manufacturing and automotive facilities. 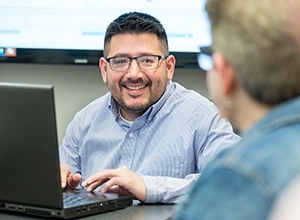 Oberts received a Master of Business Administration in Strategic Management from Detroit College of Business and a Bachelor of Science in Chemical Engineering from the University of Michigan. 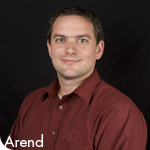 Arend is an Electrical Engineer with more than 5 years of professional experience. He is responsible for the electrical design of various sized projects and power studies. 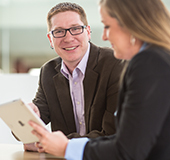 Arend earned his Bachelor of Engineering degree, with a concentration in electrical engineering from The University of Toledo. SSOE Group is an international EPCM firm ranked eleventh among the largest engineering and architecture firms (Building Design + Construction, 2009). SSOE has also been named one of the “Best AEC Firms to Work For” (Building Design + Construction) and as one of the fastest-growing U.S. architecture, engineering, and environmental consulting firms by ZweigWhite, Hot List 2009. With 18 offices around the world, SSOE is a leader in providing sustainable and renewable solutions. 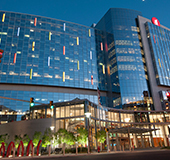 The company has earned a solid reputation providing architecture, engineering, procurement, and construction management services to the automotive, healthcare, science and technology, energy, alternative energy, biofuels, chemical, food and beverage, glass, and personal care industries. SSOE has completed projects in more than 30 countries. Visit www.ssoe.com for additional information and career opportunities.